Keep your pooch warm and dry with this essential Cascade Dog Coat in Red by RC Pet! The Cascade Dog Coat by RC Pet comes in a variety of sizes to fit most breed shapes and sizes including long and wide-chested dogs. Fashionable 3M reflective prism increases nighttime visibility. Wind and water-resistant shell with a cozy fleece lining. Darts at the back for a better fit along the back and tail. 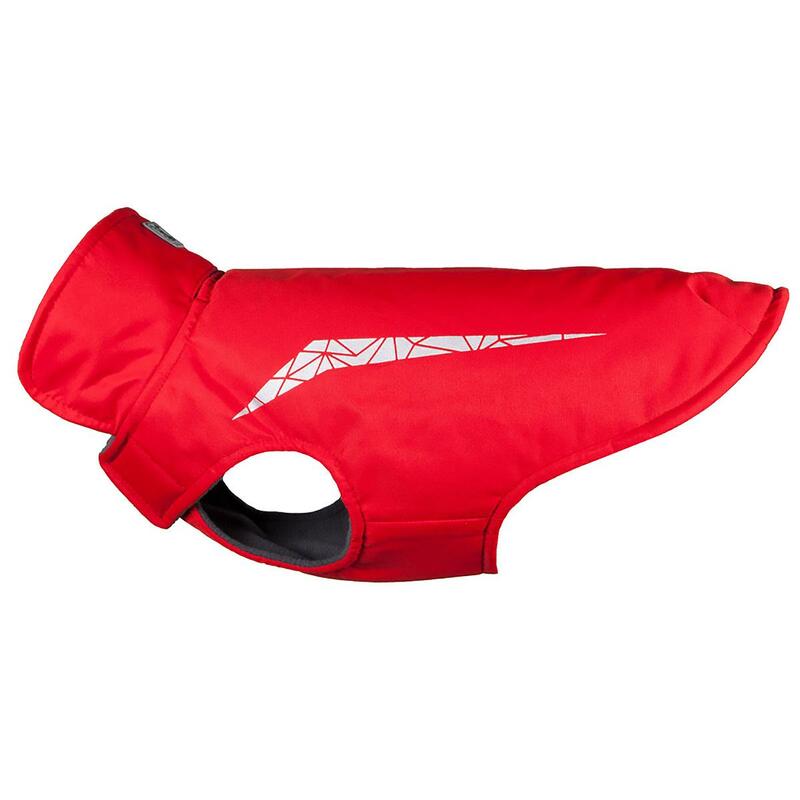 Adjustable hook and loop closure keeps your dog snug. T-shaped chest panel has three points of adjustability to fit more doggy shapes. Slit for leash or harness attachment. Durable and machine washable. Well, it seems to me that this survey is a bit premature for a first time buyer. but I am hoping that this is the harness I have been looking for. But the buying experience has been good. You have a nice array of products with a good reputation. I found your website through a group I am on online. I am glad that I did. And I did like the extra promotional discount!